When and how to get your pool back up and running? Finally the nice days seem to have arrived, the end of winter and the start of summer ! A key step for a good summer and to avoid all possible problems, when getting your pool back up and running you must follow certain rules. When should I get my pool back up and running ? It is advised that you start getting your pool up and running between the months of March and April (depending on your region). The ideal temperature for your water for moving to summer is between 12°C and 15°C maximum. Doing it late (May/June) with a water that is hotter than 15°C starts to make it more difficult. The presence of microorganisms (algae) is increased by warm spells, without treatment, the water becomes green as does your mood. Don’t postpone your move to the summer period, if the water turns that will reult in more important costs than carrying out these actions. Getting your pool back up and running depends on the type of hibernation that you have chosen. Have you carried out an active wintering? Your pool works at a slower pace, the filter is only on for a bit everyday. Getting your pool back up and running will be easier because you have kept your water quality at a certain level. Update the daily length of time of filtration, based on the water temperature. Put your equipment back into place (remove those designed for winter). Check your pH and adjust it accordingly. Carry out an adapted shock treatment. Refer to the guide on your product. Are you able to carry out an automatic treatment by electrolysis? Adjust the salt level before getting this device back running. Wait for the temperature of your water to climb, in short, it is not recommended to turn your electrolyser on with a water temperature of less than 15°C. Leave your filter switched on for around 2 days so that your water is crystal clear. Have you carried out a passive wintering ? Filtration has been stopped, you have lowered the water level to below the skimmers, emptied the tubing and stopped the filtration, your pool is covered. Take off the cover (think about cleaning it, letting it dry, folding it and storing it for ease of mind for the end of the season). Be careful, don’t drag it along the ground, it could be damaged. Use a net on the bottom and the surface, brush the walls, clean the water line, use a manual or robotic pool cleaner. Also think about the edges and the tiles around the pool. Give them a quick sweep. 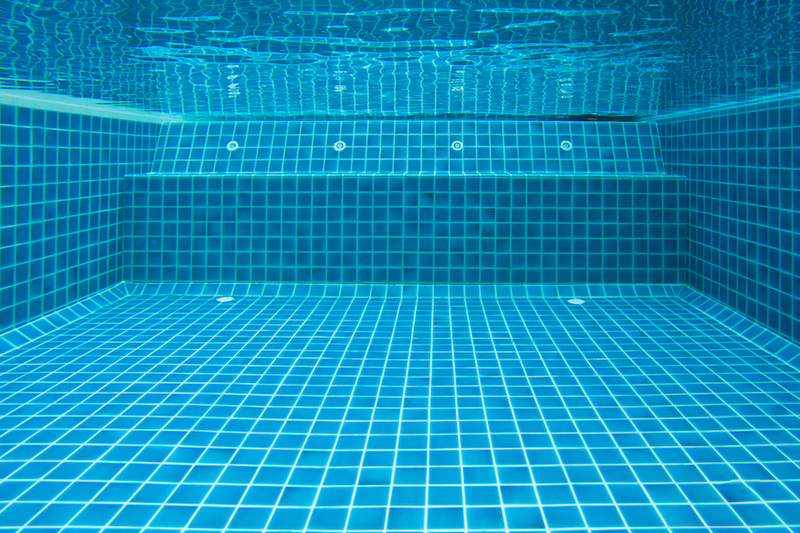 The more the surrounding area of your pool is clean the less impurities your pool will contain. It is best to clean the surrounding area after having taken off the cover (this often contains dirt and other impurities). Think about putting the baskets back in the skimmers and screw the adjustable jets back in their positions. Top up your water level (the new water should be about 1/3 of your total volume) : it is advised that you change the water in your pool each year, above all to remove residue of products, stabilizers (present in chlorine tablets), limescale, metal, microorganisms and waste of all forms. Instead you can completely change the water every 4 years (it is more effective to change a bit each season). Carry out a good clean to start the season in the best condition. For sand filters, perform a backwash then a rinse (both directions). In the case where your you use a cartridge filter, put in new cartridges. Getting your pool back up and running quite early will allow you to carefully keep an eye on your pool and be able to react if there is a problem and call a professional. Check for appearance of possible cracks in the pool or area around it, also check your filtration system. It will be easier to make any repairs before the arrival of summer. 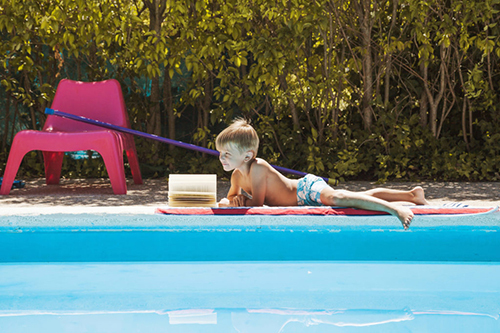 Once the pool is clean, put your accessories back into the water (stairs, diving boards). 5. Replace a bit of your water. Each year you should empty a third of your pool using the plug at the bottom to remove the products that have accumulated during the previous season. It is measured on a scale of 0 to 14, for best comfort it should be between 7,0 and 7,2. Chlorine is 75% active in between these readings. A <20°F the water is soft and corrosive. A >20°F the water is hard and can lead to limescale. It is part of the buffer effect in water, that is to say it stops big variations in your pH. To best analyse the quality of your water, ICO can help you and will send you notifications and actions straight to your smartphone. If it has not been done before hibernation, it is recommended that you carry out a shock treatment on your pool, with chlorine, bromine or oxygen active liquid according to the normal treatment of your pool. Well done, everything is ready, you can now leave your filter to work for 24 to 48 hours continuously to stabilize the water in your pool.